How does Bexsero work? What will it do for me? This medication belongs to the family of medications known as vaccines. It is used to prevent infections such as meningitis and blood infections caused by meningococcal group B bacteria (also called N. meningitidis serogroup B). It works by stimulating the immune system to produce antibodies (substances designed to attack that particular bacteria). These antibodies remain in the body, ready to attack these bacteria, thereby reducing the risk of an infection. It is given to people who are 2 months of age or older up to 17 years of age. How should I use Bexsero? Immunization with meningococcal vaccine requires 1 to 4 doses of the vaccine, depending on the person’s age at the first dose. This vaccine may be given at the same time as other routine vaccinations. The vaccine will be injected into a muscle (preferably in the thigh or upper, outer arm) by a qualified health professional. Many things can affect the dose of medication that a person needs, such as body weight, other medical conditions, and other medications. Your doctor may recommend a dose different from the ones listed here. If your child misses an appointment to receive the meningococcal vaccine, contact your doctor as soon as possible to reschedule the appointment. Add all vaccines your child receives to their immunization record. This medication should be stored in the refrigerator. Do not freeze it. Protect from light. Keep it out of the reach of children. Who should NOT take Bexsero? Are there any other precautions or warnings for Bexsero? Allergies: This vaccine contains a small amount of the antibiotic kanamycin. If you or your child has an allergy to kanamycin, talk to your doctor before receiving the injection. Bleeding problems: There is a risk of increased bleeding or bruising when any intramuscular injection is given to a person who has a bleeding disorder or is taking medications to thin the blood. The safety and effectiveness of this vaccine have not been established for people with thrombocytopenia (low platelets) or bleeding disorders. If you have these conditions, discuss the risks and benefits of this vaccine with your doctor. Breathing problems: When given to very premature babies, there is the risk that the vaccine may cause problems breathing, such as the infant temporarily stopping breathing. There is a significant benefit to giving this vaccine to this group of infants. Discuss the risks and benefits with your doctor and whether any special monitoring is needed. Fever: A doctor may decide to delay this vaccine if the person receiving the vaccine has an acute infection or fever. Mild infections without fever, such as colds, usually do not require delay of the vaccine. Immune problems: When used for people with impaired immune systems, meningococcal vaccines may not create enough of an antibody response to protect against infections caused by these bacteria. 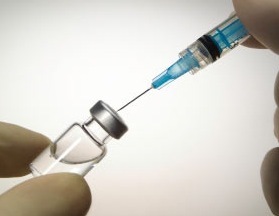 Also, this vaccine may not be effective for people receiving immunosuppressive therapy (e.g., some medications used to treat cancer or for transplant recipients). Pre-medication: Your doctor may suggest that infants and children receive antifever medications (e.g., acetaminophen, ibuprofen) before or after receiving the vaccine. Follow the instructions given by your doctor. Protection: This vaccine can only protect against the types of bacteria specific to this vaccine and, as with other vaccines, may not provide 100% protection for everyone who receives the vaccine. Pregnancy: This vaccine should only be used during pregnancy if the benefits outweigh the risks. If you discover you were pregnant when you received this vaccine, contact your doctor as soon as possible. Breast-feeding: It is not known if meningococcal vaccine (group B) passes into breast milk. If you are a breast-feeding mother and may be given this vaccine, it may affect your baby. Talk to your doctor about whether you should continue breast-feeding or wait until you have stopped breast-feeding to receive the vaccine. Adults: The safety and effectiveness of this vaccine have not been established in adults over the age of 50. What other drugs could interact with Bexsero?